back to new age business. 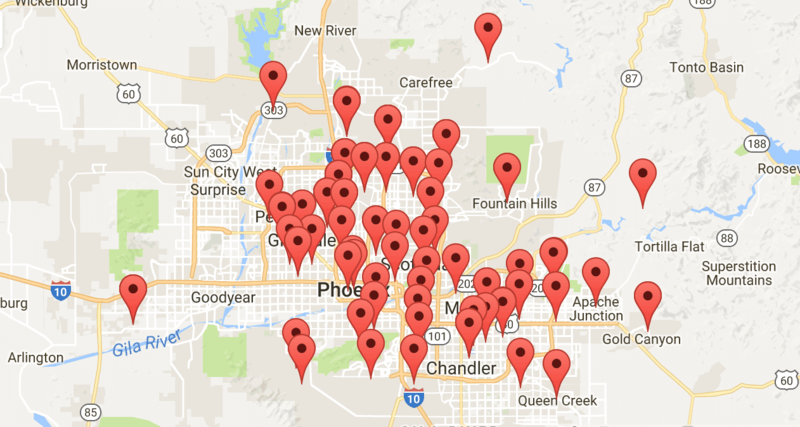 Check out our new showroom located in South East valley! Let one of our friendly staff help you design or renovate the backyard of your dream! 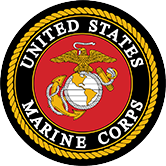 5% military discount for active duty members & veterans. Remodel your residential pool and outdoor space. Your remodeled pool will be the envy of your neighborhood. We pride ourselves on being hands on and tailoring your project to meet your wants and needs. We have over 50+ years combined experience. We look forward to earning your business! Here at Above & Beyond Pool Remodeling we specialize in complete swimming pool renovations for both residential and commercial applications. Let us help you bring your project back to life with our combined 50+ years’ experience in the industry. Our motto here at Above & Beyond Pool Remodeling is to “Bring old fashion values back to new age business”. Requesting a review from our clients is the best way we can ensure that we are delivering that promise. Good or bad we want to hear from our clients. Although we have earned a few awards in our tenure as pool remodeling contractors, we understand when all is said and done, there is NO better award than providing our clients with the professionalism and value they expect with the integrity they deserve! Feel free to browse our gallery of projects. Here you will find an array of colors, styles and options. The sky is the limit when designing your dream backyard and our professionally trained consultants are here to help you make your backyard dreams come true. Integrity is our number one core value. Above all else is “the choice between what is convenient and what is right.” Being a Veteran owned company, we have come to embrace this term because without integrity we have nothing. Our clients will never have to be concerned about our company not having their best interests in mind. 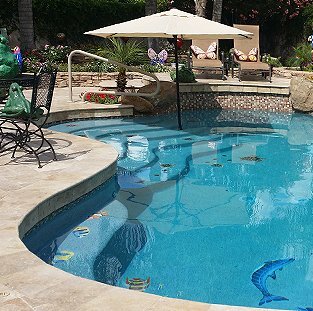 We understand that there are many companies to choose from when it comes to remodeling your swimming pool. When our customers choose us we not only strive to provide competitive pricing but more importantly we work towards providing value to their project that “price point” can’t provide. Some of these intangibles are courteous prompt service, consistent communication and update son project status, professional supervision and lastly some of the best warranties the industry has to offer. We are proud to say that we stand strongly behind the belief that professionalism is not just about adhering to codes of practice, rules and laws but also having our company’s ethical and moral beliefs consistent with our client’s expectations. The name says it all!!! These guys will go Above and Beyond for their customers. The salesman we very knowledgeable and very help full. After speaking to these guys I decided to do a complete remodel and convert from a diving pool to a play pool. Pool is brand new and looks fantastic. All the workers left my yard spotless, actually in better shape than when they started. Why can’t more companies take pride in service like these guys do? Thank you Mike to you and your team!! Although we have earned a few awards in our tenure as pool remodeling contractors, we understand there is NO better award than providing our clients with the professionalism and value they expect and the integrity they deserve! 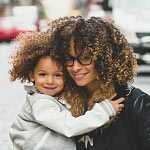 Connect with Above & Beyond Pool Remodeling, a fully licensed (ROC# KA-05-257866) and insured local business. Customer satisfaction is our number one priority and we stand behind our work. 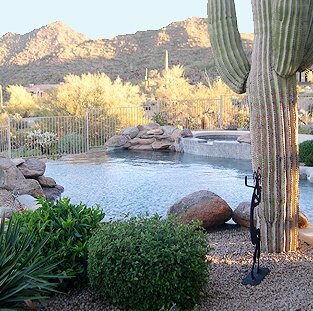 We offer a standard 1-year workmanship and labor warranty, competitive rates, and pool financing. 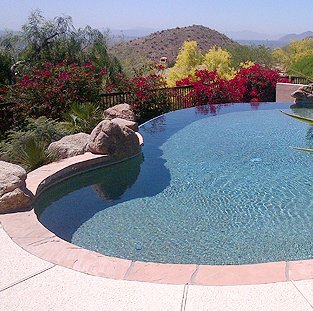 Get to know Above & Beyond, an Arizona-based limited liability company that has over 50 years of combined experience in the swimming pool construction and renovation fields.